Step2 Best Chefs Kitchen Play Set Just $54! (Reg. $100!) Ships FREE! You are here: Home / Great Deals / Christmas Deals / Step2 Best Chefs Kitchen Play Set Just $54! (Reg. $100!) Ships FREE! This is so cute, any little kid would love to have it! 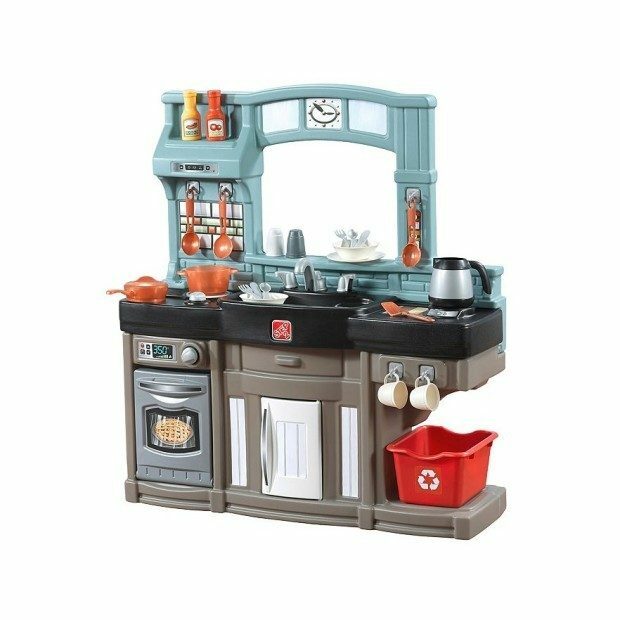 Head over to Kohl’s to order the Step2 Best Chefs Kitchen Play Set on sale for $79.99! (Reg. $100!) Get an even better deal with Kohl’s current promo! Just use promo code SNOWYDAY at checkout to get an additional 20% Off! Out of Pocket Price is $63.99! You also get $10 Kohl’s Cash – Net Price is $54! Shipping is FREE or opt for FREE store pickup if available to you!